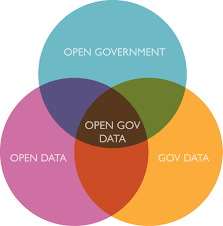 Open data is data that anyone can access, use or share. Simple as that. When big companies or governments release non-personal data, it enables small businesses, citizens, voluntary and community organisations and researchers to develop resources which make crucial improvements to their communities (Open Data Institute). NICVA is keen to gauge the knowledge, experience and impacts of open data in the voluntary and community sector. We also want to find out what data organisations would like to see open by default and we will use this information will engaging with government and statutory bodies. NICVA is also keen to find out more about what other data organisations access, and data sharing arrangements and policies within the sector. The data we collect will be anonymised and summarised in a web article. We fully recognise the pressures that many in the sector are facing, but we would ask you to help us to help you by completing the survey. Please note, one Viewfinder survey has been sent to each of NICVA member’s organisations and we only require one response per organisations. If your organisation has not received a survey please contact Andrea Thornbury, [email protected] / 028 9087 7777. The deadline for responses is Tuesday, 26 September at 5pm.